I love to read .. and when I visit Mom I love it when I have time to sit and go through her magazines. She gets a variety on many different subjects and it is always a treat to see what new ones she has. Recently she has started to just give me piles of her older magazines so I can go through them here at the house when I have time. This last bunch gave me a Better Homes and Gardens special interest publication called Baking Secrets. The tag states display until December 30, 2014 so it was out a year ago. Not only does it have some wonderful recipes but it also has some interesting facts about making the recipes with different ingredients and how those ingredients change the finished result. I love the how’s and why’s of things so I have totally enjoyed his publication. For example.. the recipe for Cinnamon Rolls calls for an unusual secret ingredient that adds moisture and structure without contributing to gluten development. That ingredient is mashed potato.That is something I would never have considered using and now I want to make the recipe and try it out. 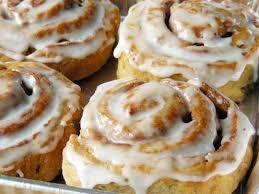 The article also lists flavor changers and tells you how to make them into Caramel-Pecan or Apple-Raisin Rolls. There are also three different frostings that can could be used depending on personal taste preferences and tips on rolling the dough and using a string to cut the rolls. This is one I am going to have to try and make soon.. I love a good Cinnamon Roll as it reminds me of breakfast with Grammie when we visited. 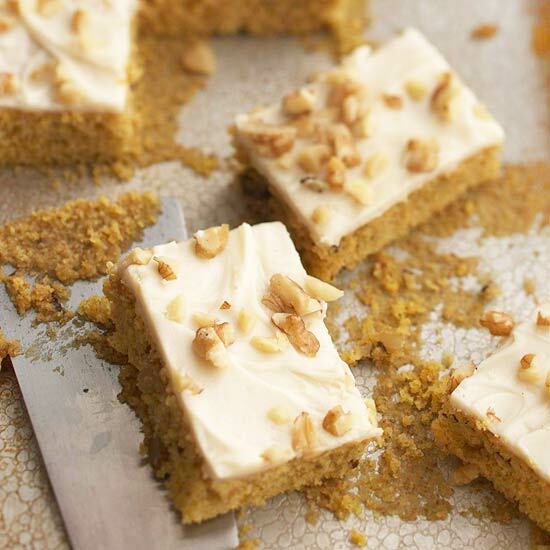 With Fall coming pumpkin desserts and treats are always a favorite. The publication has a nice recipe for Pumpkin Bars. Its secret is oil. Seems oil is the key to moisture. Unlike butter, oil does not firm up when combined with other ingredients so it coats t he flour granules for a more evenly textured bar. Who knew?? .. lol. The article also states that unlike butter the mild flavor of the oil allows the strong flavors of pumpkin and spices to shine through. Butter is better in recipes without such strong flavors like yellow cake. This recipe also has two frosting choices .. Browned Butter and also Cream Cheese. With those two it would be a tough decision as to which one to try first. There were also some nice variations of the recipe. Applesauce-Cranberry bars are created by substituting 1/2 cup of honey for the 1/2 cup of granulated sugar. Then substitute one 15 oz jar of applause for the pumpkin and stir in 1 cup of dried cranberries. For the finishing touch lightly sprinkle the top of the frosted bars with ground cinnamon. My favorite cookie is Chocolate Chip. 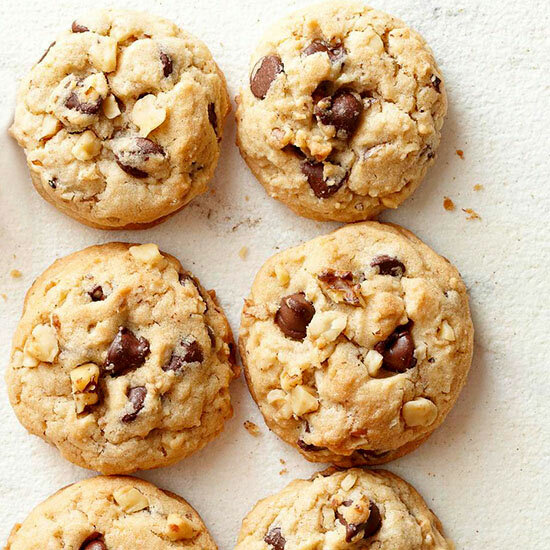 This recipe article had tons of information on ow to create your perfect cookie. It gave wonderful information about the ingredients that goes into the cookies and what they contribute. I learned ..
Fats: These influence a cookies flavor and how much the batter spreads. Shortening does not melt as quickly during baking so cookies tend to keep their shape and wont be too crisp. Butter adds rich flavor and also melts faster during baking.This results in a thinner cookie. Flours: Different flours contain different proteins. The protein content may influence shape, tenderness and final color. Cake Flour is low in protein so baked cookies are tender and light in texture and color. Bread Flour is a high protein flour so the final cookie will be tuggier. All-Purpose Flour has moderate protein and falls in the middle of the two. Leaveners: Baking Soda is a chemical leavener that activates when in contact with an acidic ingredient. Additional baking soda may contribute to browning. Baking Powder is another chemical leavener. Most is double acting, so it first reacts when it comes in contact with liquid, then again with heat. Sugars: Granulated Sugar has low moisture content so the sugars crystallize when baked creating crisp texture. Brown Sugar has a higher moisture content because it contains molasses. this moisture makes the cookies softer and more chewy. I also learned from the article my habit of microwaving a stick of butter till melted is not ideal as it will not behave the same way in the batter as softened butter. They recommend leaving on the counter for 30 minutes or if one must use the microwave to just use it at a reduce power and do 15 second intervals until softened. i may have to try my recipes that use softened butter with it really softened instead of melted and see what difference it makes. An pointer I found interesting was if you are going to add nuts to a cookie you should toast them first. The reason is they get covered with batter and that prevents them from being toasted during the cooking. Toasting before adding to the batter brings out their flavor and helps to keep them crisp in the finished cookie. To toast heat the oven to 350 degrees. Spread nuts in an even layer in a shallow pan. Bake 5-10 minutes or until toasted.. stirring once while baking. You can see with just these three recipes there is a lot of neat information in this publication. 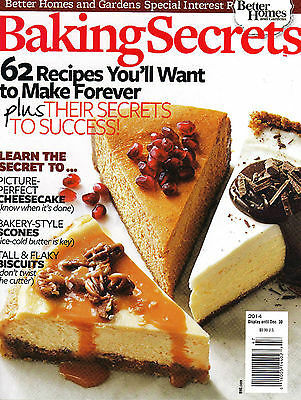 There are a lot more secrets and recipes for pastries, breads and even cakes. All in all there is 135 pages of delicious recipes and little tid-bits to make some delicious goodies make even better. If you like to bake I highly recommend getting a copy of this to add to your cookbook collection.